Home›Features›Michael Schenker Group - 1982's Assault Attack, their Lone Studio Effort with Graham Bonnet! 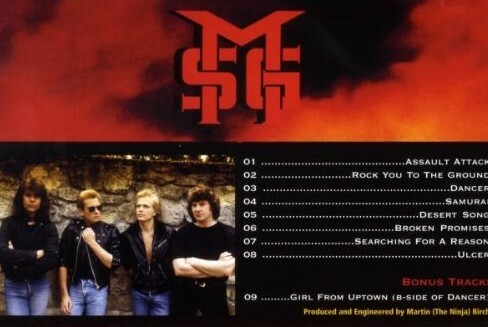 Michael Schenker Group - 1982's Assault Attack, their Lone Studio Effort with Graham Bonnet! 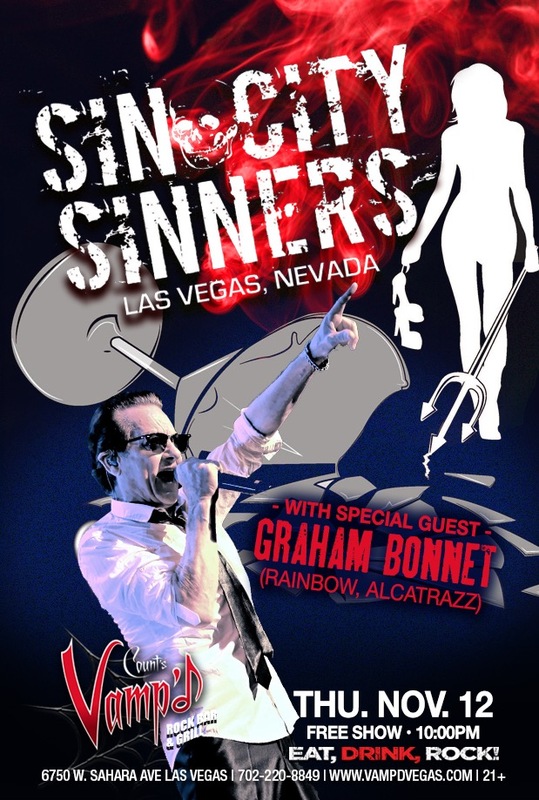 Graham Bonnet will be joining the Sin City Sinners on Thursday, November 12, at Count's Vamp'd. 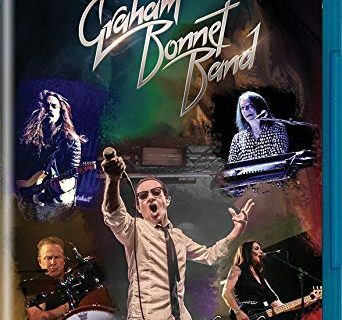 Upon his departure from Rainbow in the early 1980s, with whom he only recorded one album, legendary vocalist Graham Bonnet came to replace Gary Barden in the Michael Schenker Group. Schenker’s band had undergone major changes following the release of the One Night at Budokan live album, with Cozy Powell and Paul Raymond leaving the band (a consistent lineup is something the classic Michael Schenker Group seldom had). For the band’s third studio record, Assault Attack, the band consisted of guitarist Michael Schenker, vocalist Graham Bonnet, drummer Ted McKenna, keyboardist Tommy Eyre, and bassist Chris Glen. Of the musicians other than Schenker, only Chris Glen remained from earlier versions of the band. It would also be the group’s only album with Bonnet as frontman. To produce the album, the band brought in the legendary Martin Birch (Black Sabbath, Blue Oyster Cult, Iron Maiden). Assault Attack was the third studio album from the Michael Schenker Group. 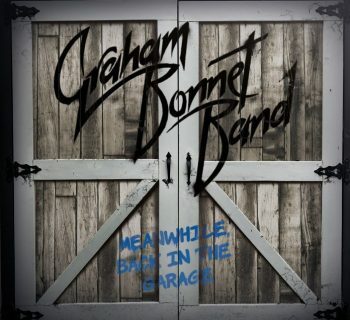 It was the only one to feature Graham Bonnet on vocals. This was an interesting transitional time for the Michael Schenker Group, and it is not likely listeners quite knew what to expect with the complete overhaul of the band. The group’s first album spawned some hits and hinted at the potential greatness to come, while their sophomore album more or less delivered on all of those promises and then some. The live release that followed demonstrated that the Michael Schenker Group was no mere studio band, and that they could tear it up on the live stage as well. But, how does Assault Attack fare? Fans were likely skeptical as to how this album was going to turn out. And yet, all these years later, a number of fans have since come to call it the best album of the classic Michael Schenker Group era from 1980-1984. I would not quite go that far, but if this is not the best Michael Schenker Group album, it is pretty damn close to the top. What does Assault Attack have to offer its listeners? The CD reissue. Features "Girl from Uptown" as a bonus track, which was the B-Side to the "Dancer" single. One of the best guitarists in the business? Check? One of the best producers? Check. One of the best vocalists? Check. 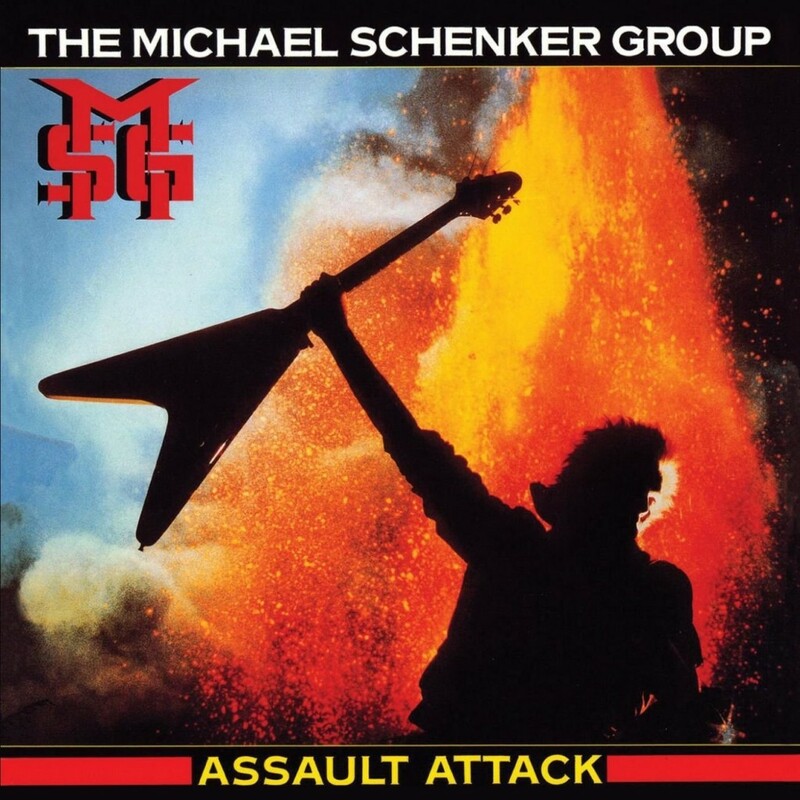 There are eight tracks on Assault Attack, but they are some of Schenker’s all-time best. The opening title cut is the best of hard rock and melodic rock extremes, brought together for one truly perfect Schenker song that kicks this album off brilliantly. “Rock You to the Ground” is hard and heavy blues rock at its finest. “Dancer” takes things in a slightly more melodic, pop direction, but it still retains Schenker’s classic hard rock sound nonetheless (it could be argued that this song is a premonition to the band’s attempt at commercialism upon Gary Barden’s return with Built to Destroy). “Samurai” features not only brilliant guitar work, but also one of Bonnet’s finest vocal performances on the record. Side Two is kicked off with one of the better known tracks from the album, “Desert Song.” This is a sprawling epic that sets its scene perfectly, and sees the band doing what they do best; it is songs like this that make me wish Schenker and Bonnet had worked together more. “Broken Promises” is essentially straight up, classic style hard rock, though it does deliver some impressive keyboard work in its latter moments as well. Another fantastic vocal performance comes from Bonnet on “Searching for a Reason,” and the rest of the band is equally impressive. Closing things out is “Ulcer,” which is basically a fast-paced instrumental that lets Schenker show off and do what he does best. If you buy the remastered CD of the album, or get it in the Chrysalis Years box set (my recommendation), you get the bonus track “Girl from Uptown,” which was actually a B-Side to the “Dancer” single. Admittedly a little more on the commercial side in some ways, this is still a solid track that is worth hearing if you are a fan. After all, more Schenker songs with Bonnet on vocals is always a good thing! Assault Attack is vintage Michael Schenker at his absolute best, and some of the best vocal work from the always impressive Graham Bonnet. Check this album out if you want to capture the two of them in their prime, doing what they do best, in the company of one of heavy metal’s greatest producers. Absolute highest recommendations for Assault Attack. 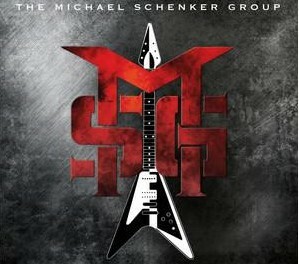 Michael Schenker Group on Blu-ray Disc - The Mad Axeman Rocks Tokyo for the Band's 30th Anniversary Concert! Joey Kramer - Hit Hard is the Official Autobiography from the Aerosmith Drummer! 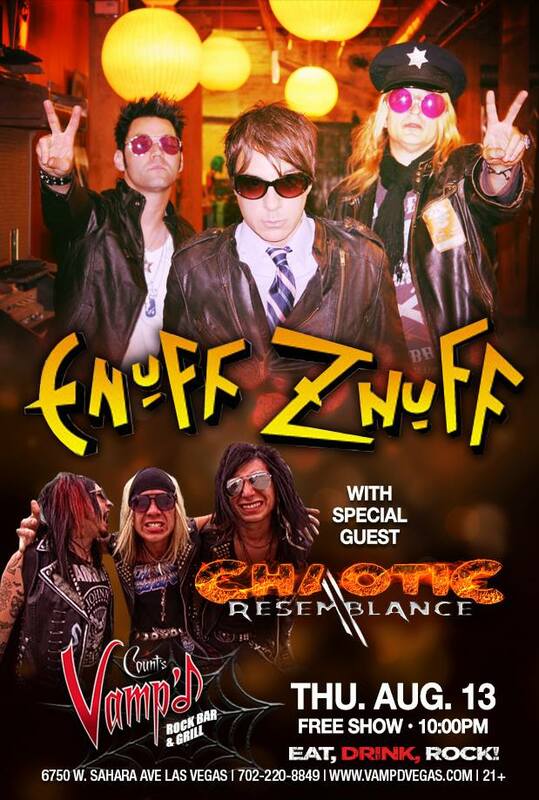 Enuff Z'Nuff - Getting High on a New Thing in Las Vegas!